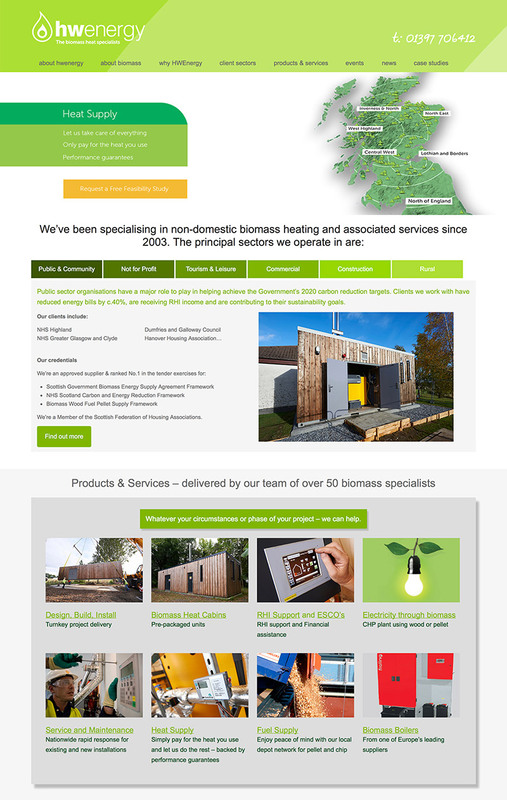 HW Energy is an engineering and design based company specialising in commercial wood fuel biomass heating and CHP systems. Based in Fort William in the heart of the highlands of Scotland they have completed over 250 projects across Scotland and the north of England – and employ 140 staff. Skyewebsites were approached by HW Energy to create a modern website that reflected their passion, vibrance and ‘energy’ of the company. We created a totally new design, taking a vast quantity of information to produce a critical communication tool for a growing business. The website was built on WordPress and is mobile responsive.